1º andar apartamento agradável e confortável, que é apenas 5 minutos a pé da fantástica praia de Alvor e 3 minutos a pé da rua bares famosos em Alvor com vários pubs britânicos e irlandeses. Está ao lado de um grande supermercado Intermarché ea 1 minuto a pé de táxis. O acesso para a casa é através de escadas. A varanda tem uma mesa onde você pode desfrutar de deliciosa refeição. O interior, todo climatizado, está completamente mobilado para férias. A cozinha tem um frigorífico, micro-ondas, forno, fogão, máquina de café e uma chaleira. Na sala você encontrará um sofá acolhedor e uma TV. Tem Wi-Fi. Há uma cama de casal e duas camas individuais. Nós fornecemos roupa de cama, papel higiênico e toalhas obviamente. Tem uma máquina de lavar roupa e uma máquina de lavar louça. Apartamento muito bem localizado, bem equipado. Mini-mercado a 50m, praia a 10 minutos à pé. Proprietário muito simpático e acolhedor. Voltaremos com certeza. Muito obrigado pelo carinho de escrever esta crítica do apartamento. Teremos todo o gosto em recebê-los novamente. We arrived and were met by Alberto who showed us around the apartment, there was also a welcome basket and a couple of bars of chocolate by the bedside (a lovely touch). 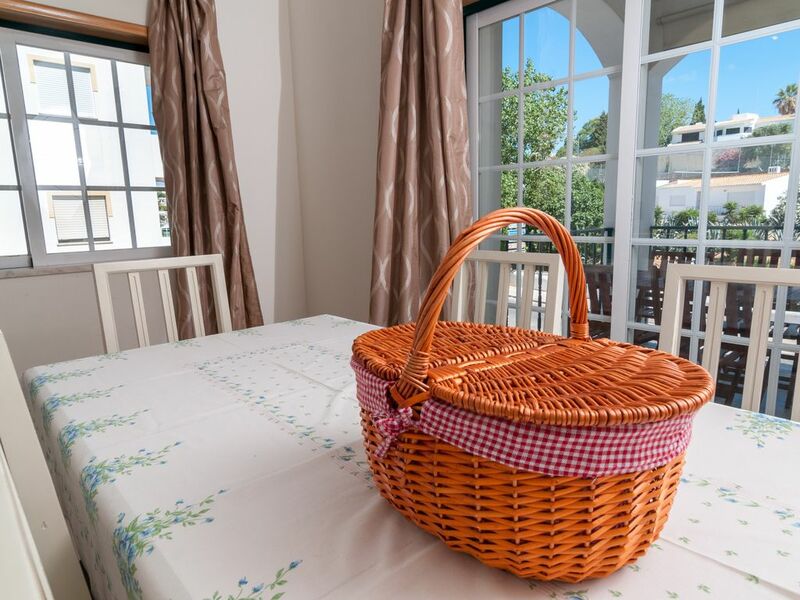 The apartment is much bigger then the photos suggest and is ample if 2 couples want to stay here, it has everything you need and a fully equipped kitchen, it is ideally situated in the center of Alvor and a steady 10 minute stroll to the beach and harbour. We would highly recommend this apartment it is central safe and secure and welcoming, we had a lovely break (although the weather was not very good). The only thing I would recommend is sink plugs for the kitchen and bathroom, it has everything else you could need. It was a great pleasure to have you as our guests. You left the apartment very clean. It was a shame the weather was bad. Good advice - we will buy new sink plugs. We would definitely stay here again, our only small negative reason for 4 stars and not 5 stars was the pillows; they were very floppy and past their 'sell by date'. Otherwise the apartment is well equipped and comfortable in a very good location. The owner met us on the first night and was very helpful and supportive to us during our stay. We will buy new pillows. Property is excellent the owner was very helpful ideal location negatives was the air-conditioning did not work and there were no plugs into the sinks. We had a lovely stay at this large,bright airy apartment.The welcome pack provided by Issac was very welcome.The apartment is ideally placed for both the village and the beach.We would stay again. Many thanks four your stay and for your kind review. We had a wonderful stay here for 7 nights with our 2 children. The apartment has everything you need and is bigger than the photos imply. The location is great, right in the centre and there is plenty of parking. Would definitely recommend staying here, thank you!